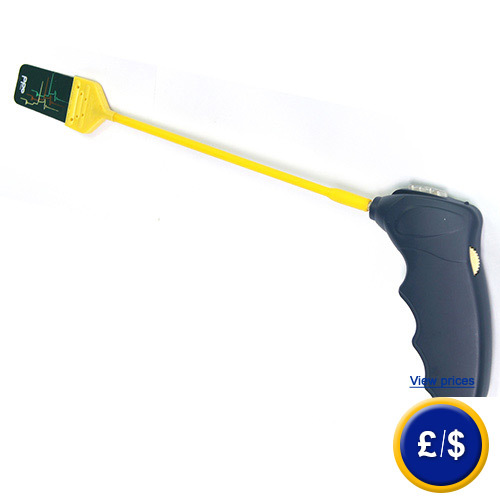 The ignition coil tester ADD750 is a battery-driven hand device to quickly check the individual ignition coils on a cylinder. Therefore the flat signaler of the ignition coil tester is simply to apply on the relevant ignition coil of a cylinder. The ignition coil tester is equipped with two LEDs as well as an acoustic signal. Those signal the operator of the ignition coil tester the existence of a correct ignition voltage and the right duration of the light arc. The probe extension of the ignition cable tester allows a simple and flexible operation even within tight engine compartments. Via a rotary switch the ignition cable tester can be adjusted to various types of engines. Its simple and quick operation qualify the ignition coil tester as an ideal equipment for both professional and hobby- mechanics. In case that you should have more questions regarding the ignition coil tester ADD750, please read the following technical data, use our contact form or call us: UK customers +44(0) 23 809 870 30 / US customers +1-410-387-7703. Our technicians and engineers will gladly advise you regarding the ignition cable testers or all other products in the field of Control Systems, Laboratory Equipment, Measuring Instruments or Scales and Balances of PCE Instruments Ltd.